For many of you I know that fairway woods feel like the hardest clubs to hit consistently well. 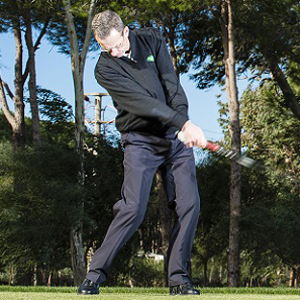 The key here is to find the ideal shallow angle of attack into the ball that delivers a 'sweeping' strike. 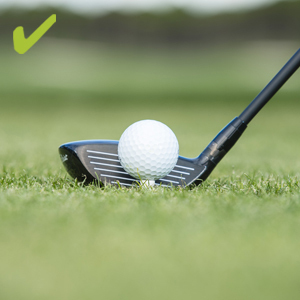 By brushing the grass through impact you should be able to clip the ball off the top of the turf and find a flight that offers good power and distance. On the following pages there is some simple advice on how to do that. One important point to make first is that your fairway woods must feature the right lofts for your game. It may be that a standard 3-wood bought straight off the shelf doesn't actually go any further than your 5-wood because of the flights you are able to produce with the different lofts. 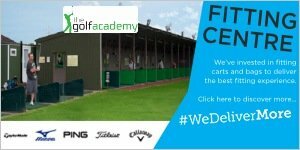 Finding a line-up of fairway woods to perform different tasks and hit different distances is crucial and I am always here to help you find that. 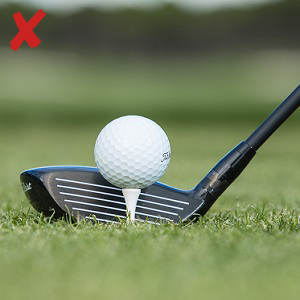 One big mistake that I often see amateurs make is, when they are using their fairway woods from the tee, they peg the ball up too high. 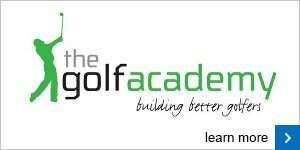 Remember these clubs are designed to be hit from the deck and if you strike the ball too high on the face you'll be missing the sweetspot. When teeing the ball up, ensure that it sits just above the grass to give yourself the best chance of a powerful strike.